Alternative energy solutions are now within reach of many homeowners and businesses, thanks to technology advancements that have driven down equipment prices and simplified operation. High energy prices are putting a lot of pressure on everyone's budgets, but there are steps you can take to reduce energy consumption. One step we always recommend is to upgrade to more energy-efficient comfort equipment. But another less costly and equally effective method is weatherization - air sealing and insulation. Insulation and air sealing of attics yield a 20 percent savings on energy bills. Similar work in a crawl space yields 10 percent savings. And then there is the ductwork, where you can achieve a 20 to 50 percent savings. The investment cost is far less than installing a new boiler, furnace or heat pump. And remember, as a Precision Air customer, you won't have to find new contractors for your home improvements, because we do it all. 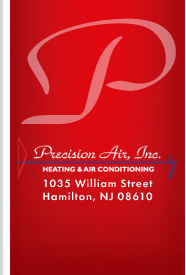 We have expanded our services in recent years to include home energy audits and home performance assessments. Lighting your home can be costly, but Precision Air can help by installing environmentally friendly lighting that reduces your costs without sacrificing visibility. You'll be astonished at the level of savings when you switch to compact fluorescent and LED energy-efficient lights and controls. To learn how you can live a greener life by integrating alternative energy, please call Precision Air today or send us an e-mail.